A powerful iron formula that provides the nutrients your body needs to produce hemoglobin and healthy red blood cells. Low iron is one of the most common nutrient deficiencies. One of the most common signs you may have an iron deficiency is fatigue. Iron is an essential nutrient that your body needs to produce a healthy supply of red blood cells. These blood cells ensure that your entire body receives the oxygen it needs for optimum health. Our bodies need an optimum amount of iron to support health. Iron is a main component of hemoglobin, which is what carries the oxygen in our red blood cells. In fact, about two-thirds of the iron in our bodies is needed for hemoglobin. If you don't get the iron you need, your health could be compromised. When your red blood cells aren't able to transport the amount of oxygen your body needs, both brain function and immunity could be compromised. Iron is also important for keeping your cells healthy as well as the skin and nails. There are various times when a person needs more iron. A woman who is pregnant or breastfeeding needs additional iron to promote the healthy development of her baby. People who work frequently may also need more iron. During their menstruating years, women require more iron than men. Certain health issues may also necessitate more iron intake. People who subscribe to a vegan or vegetarian diet may need to take an iron supplement like NuMedica HemePlex Fe to ensure they get the iron they need for good health. You may be lacking in iron if you feel short or breath or easily fatigued. Other signs of you may be low on iron are hair loss, brittle nails, a sore tongue, and a fast heart rate. 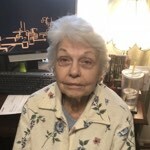 During extreme iron deficiency, you may experience difficulty swallowing. Fortunately, an iron deficiency is easy to diagnose. 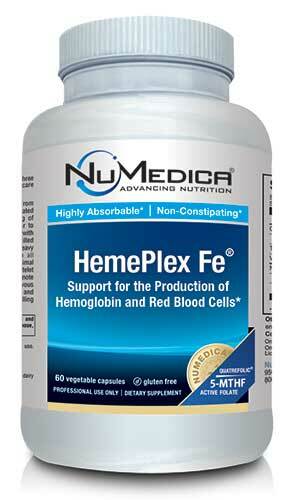 Taking a nutritional supplement like NuMedica HemePlex Fe can help prevent you from experiencing an iron deficiency. Ferrochel® and The Albion Medallion design are registered trademarks of Albion Laboratories, Inc.